A stroke can drastically change the way a person communicates and behaves. At the beginning of the stroke recovery, you probably have a lot of questions. You may also feel overwhelmed over the number of tasks that will end up on your shoulders. Since the beginning stages of a stroke recovery are the most critical, it is important that you are able to give them the time and help they need to live a productive and independent life. You may want to think about having an elder care provider help with these responsibilities. To better care for your loved one, here are some tips to make your job a little easier. Learn as much as possible. All too often family caregivers care for someone recovering from a stroke without really understanding what they are getting themselves into. This can cause them to deal with some unexpected surprises that can cause a great deal of stress. Educate yourself on the elder’s condition by talking to the doctor or researching the condition yourself. Learn more about the elder’s insurance coverage. There are some insurance companies, like Medicare who would cover most of the elder’s hospitalization and medical costs. Do a little research to find out what the best coverage would be for your loved one and what the total amount out-of-pocket would be. Assist with rehabilitation. The senior will need to undergo physical therapy sessions in order to strengthen their body, bringing it close to what it used to be before the stroke. You can help by going with them to their appointments in order to offer your support and encouragement during these difficult sessions. 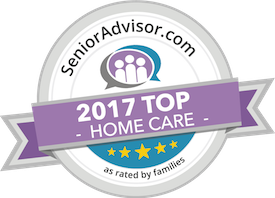 Find out what the senior’s needs are. Make a list of the tasks that your loved one will need help with. This may include bathing, feeding, cooking, driving, and other tasks that have become too difficult for them to do on their own. This also includes knowing what medications they are taking in order to make sure they receive them at the right times each day. This list will also come in handy for an elderly care provider. Rearrange the home. If your loved one’s bedroom is upstairs, it may be too difficult for them to get to their room alone. Consider having them stay in a bedroom on the first floor of the home in order to make it easier for them to get there. It may also help having their room next to a bathroom. Have questions about Home Care in Hawaii Kai? Contact the caring staff at All Care Hawaii today. Call Oahu (808) 206-8409 or Maui (808) 664-3853. Call us 24 hours a day, 7 days a week!